Dr. Tom Oliverson represents Texas’s 130th State House District in northwest Harris County, including the communities of Tomball, Cypress, Waller, and Hockley. During his first term in the legislature, he served on 3 House Committees: Public Health, Insurance, and House Administration. He was also one of only two freshmen chosen by the House Republican Caucus to serve as Deputy Floor Leader. He has authored legislation dealing with surprise medical billing, scoliosis screening, flood control, voter fraud, and telepharmacy. His successful first session culminated with Dr. Oliverson being chosen by his Republican colleagues as “Best Freshman Legislator” of the 85th legislative session. In his professional career, Dr. Oliverson is a managing partner and practicing anesthesiologist in US Anesthesia Partners, the largest anesthesia group in Texas with over 1100 anesthesia providers. A tireless advocate for patients and their safety, Dr. Oliverson is recognized as an expert in office-based anesthesia and consults with doctors and dentists throughout the state to make office surgery safer for patients. 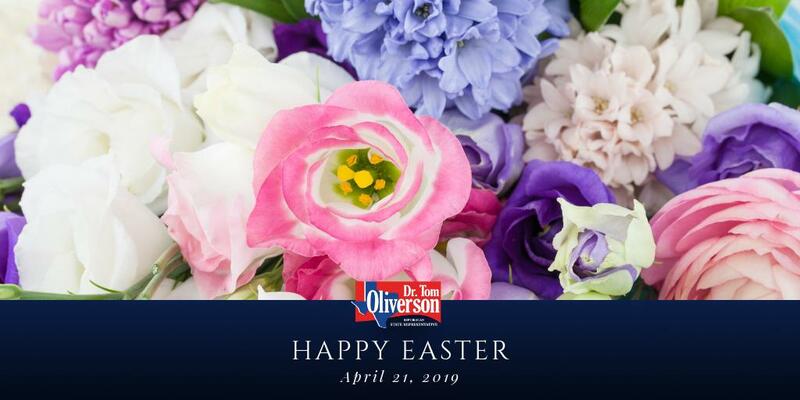 An unapologetic defender of life and a small government conservative, Dr. Oliverson staunchly opposes abortion and advocates for free markets and limited government regulations. He is also active in many 2nd Amendment organizations, such as the National Rifle Association and Texas State Rifle Association. As a small business owner, Dr. Oliverson understands that small businesses are the engines of the economy. His experience has taught him that American prosperity is best served through small business ownership and a spirit of volunteerism. A grateful Christian, Dr. Oliverson accepted Christ as his Lord in February of 1990, and since that time has walked many hills and valleys with his Lord. He has been a choir member, children’s Sunday school teacher, a lay youth leader, a youth Sunday school teacher, a small group/Bible study leader, and more recently, an adult Sunday school teacher. Dr. Oliverson and his wife Jennifer, a teacher, are active members of Jersey Village Baptist Church and live in Cypress where they raise their three children. 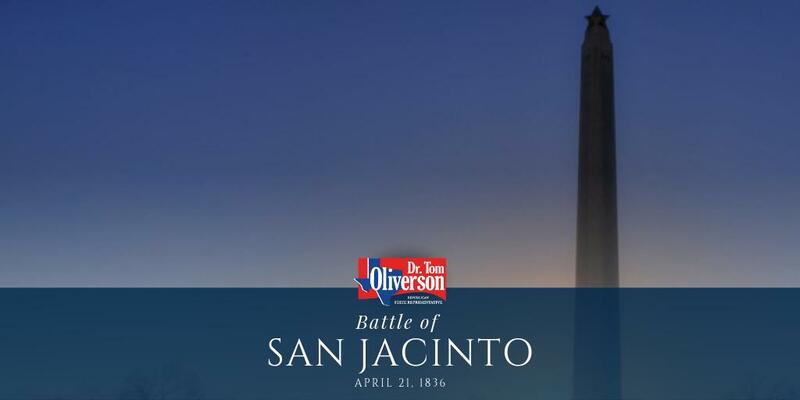 Dr. Tom Oliverson represents Texas’s 130th State House District in northwest Harris County, including the communities of Tomball, Cypress, Waller, and Hockley. During his first term in the legislature, he served on 3 House Committees: Public Health, Insurance, and House Administration. Dr. Oliverson’s Republican colleagues voted him the “Best Freshman Legislator” of the 85th legislative session.